Vision Statement: By God’s grace, we will lead children to love Jesus and learn from the Holy Spirit so they can live for God. We believe children are a gift from God and are intentional about teaching God’s amazing love for them in Jesus. 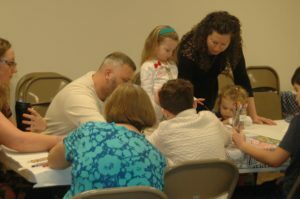 We do this through our children’s time in the worship service, our Sunday School classes, children’s choirs and special events, such as Family Fun Nights. In all of these activities, our goal is that children will learn the Biblical story and how to worship the Lord. 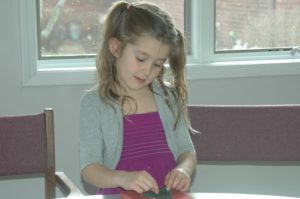 Family Fun Nights are late-winter evenings of intergenerational singing, crafts, and Bible stories. Each year has its own unique theme. Supper is typically provided for those who attend.